We are so excited to announce that we are adding another integration to make your experience with AccuRanker even more easy, fast and seamless. It is not a secret that HubSpot's marketing team has been using AccuRanker to track their keyword rankings and elevate their own SEO Strategy. You can learn how to implement HubSpot's Topic Cluster SEO Strategy including a set-by-step guide here. And now HubSpot's clients will also be able to gain the benefits from world's fastest and most accurate rank tracker. If you are already using the HubSpot's old keyword tool to track your keywords, you will be able to seamlessly move all your keywords to AccuRanker. 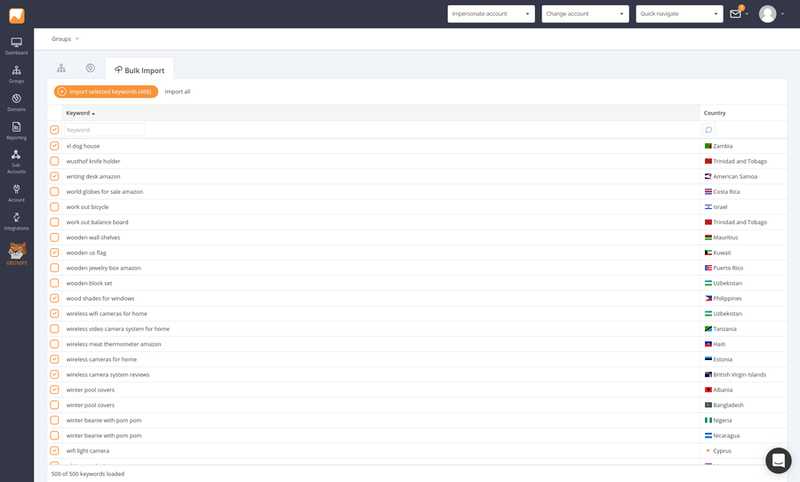 All you have to do is log in AccuRanker via HubSpot integration and import data. HubSpot users will never miss another SEO optimization opportunity and will be able to get SEO data in real-time. With integrated SEO analytics, you can measure keyword rankings accurately and efficiently to make data-driven decisions when planning content strategy. HubSpot is one of AccuRanker´s advanced integrations. Advanced integrations, such as HubSpot, Adobe Analytics, Google Sheets, and Google Data Studio, require API. API is part of any plan with 1000+ keywords. See AccuRanker's pricing here. We are thrilled to work with HubSpot on the implementation of this integration to give HubSpot users even more value for money when it comes to keyword rank tracking. No problem. You can make a 14-Day Free Trial with AccuRanker today. AccuRanker has its very own Google Data Studio Connector, that makes it easy to create beautiful graphs and tables that show the incredible SEO results you have managed to achieve. Or the opposite.